1. 1981-91 Isuzu Trooper II – Boxy, utilitarian early SUVs have an undeniable appeal as anyone who has lusted after a Land Rover Defender 110 or an early Range Rover can attest. A first-gen Trooper ticks some of those boxes – square, upright and simple, with decent off-road prowess, manual locking hubs and a manual transmission added appeal, as did an optional turbo diesel. Early Troopers are almost extinct in rust-belt states, but still turn up with some regularity on the West Coast. Nice ones can bring north of seven grand. 2. 1986-95 Suzuki Samurai – Believe it or not, these capable little off-roaders are in demand. Asking prices are surprisingly steep – rust-free but ratty tin tops start at $3,500 for decent runners. Asking prices over ten grand for low mileage examples that haven’t been trashed by mudders, are not uncommon. You can’t make this stuff up. 3. 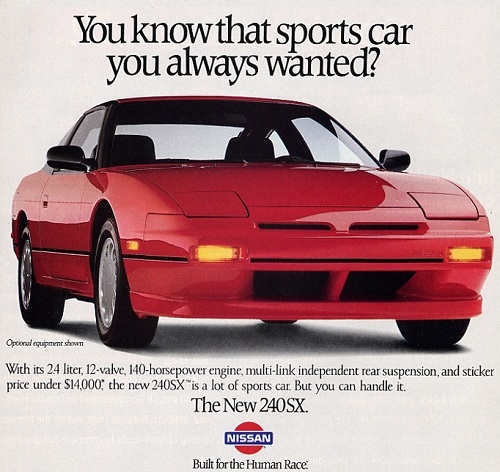 1989-94 Nissan 240SX – Anyone not into drifting has likely either forgotten this car, or never knew it in the first place. A shame, it’s the Gen-X/Millennial 240Z. While not related in any way to the classic S30 Z car, it followed the same formula. Light weight, rear wheel-drive and a decent multi-link independent rear suspension made the 240SX genuinely entertaining to drive. The hatchback is what you want, although there was also a notchback and a rare ASC-built convertible. Good luck finding one that hasn’t been amateurishly modded or isn’t running on a salvage title. 4. 1987-92 VW Golf GTI MK 2 – If you’re talking collectible GTIs, you’re almost invariably referring to the MK 1. Whether it’s the vastly superior German-built, round headlight GTI or the Pennsylvania-built U.S. version, it’s what gets all the love. But the MK 2 is a vastly superior driver’s car, and quietly, among the younger enthusiasts who cut their teeth on these cars, or wanted to, the MK 2 GTI is becoming a genuinely desirable, if elusive car. Volkswagen fan-boy site VW Vortex named it the best Golf of all time. Like most of the cars on the list, the survival rate is low. If you’re expecting to snap a good one up for under five grand, good luck. That ship has sailed. 5. 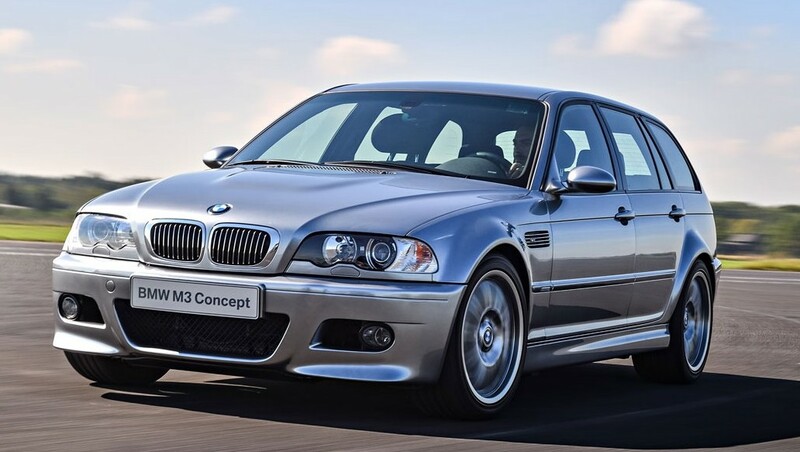 Long roof BMWs with manual transmissions – This trend is in danger of popping above the radar. BMW wagons are hot. They’re call “Touring” in BMW-speak, never a “shooting brake.” E30 3-Series wagons from the 1980s and 1990s (which were never sold in the US) are now importable under the 25-year rule and they’re adding another option in the already frothy E30 market. The cooler still E36 3-Series wagons will soon be legal too. U.S. market E39 5 Series wagons offer a bit more space but are every bit as sporting at the 3 Series cars. All were available with manual transmissions. They’re not quite unicorns, but manual wagons are scarce and they positively fly off of Craigslist or Bring a Trailer when they appear and they sell for large premiums over the more common two-pedal wagons.